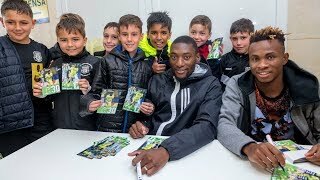 Web oficial del Villarreal CF - A big surprise on the Easter Camp! It seemed like just another day on Villarreal CF's fun-filled Easter Camp, but it ended up being an unforgettable one for the youngsters. After the First Team training session, Nicola Sansone and Rodrigo Hernández wanted to surprise the 120 participants and made their way over to the 8-a-side football pitches to spend some time with the kids. The professional footballers introduced themselves to the campers, had photos taken with them and even did some kick ups with the ball to the delight of the young onlookers. A day they will never forget. 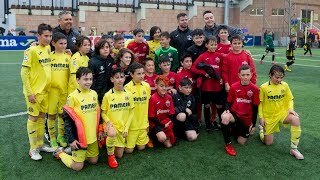 The Easter Camp also includes a full kit, a visit to a First Team training session and two tickets per participant to go and watch Villarreal against CD Leganés at the Estadio de la Cerámica. What an experience!